A VMS can change the way your business operates. Brick and mortar stores are having an increasing difficulty competing with online retailers. They find themselves not understanding how their customers shop, not utilizing high traffic times, and just being left in the dust. However, with the use of a video monitoring system, retailers may be in for some good news. It’s time that brick and mortar shops grew with the times and today, we’re going to tell you how that is possible using VMS. Are you ready to learn more about it? Well, let’s get started! 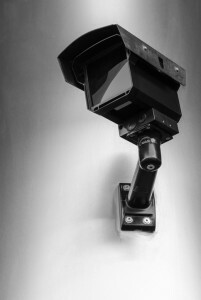 Most retail shops have cameras, but there is a difference between a traditional surveillance system and a VMS solution. Footage from traditional monitoring systems can take hours, weeks, or even months to go through in their entirety. When you use a VMS, however, you can do a search within the footage. This shaves major time off of the process and helps you find exactly what you are looking for. Not only that, but a VMS can also help you detect faces and “dwell time.” Dwell time is how you can track people loitering inside and outside of your shop. With integrated License Plate Recognition, you can further track any criminal activity around your business and catch the perpetrators. If you’re looking for a way to get in touch with your customer base, then this is a great way to do it. That same “dwell time” monitoring feature that we talked about above can also be used to monitor how your customers interact with your products. How long do they take to look at intricate displays versus minimalistic ones? How long do they spend searching before settling on something or leaving? You can find out when you implement a VMS. Using video analytics, you can also find out when you should have more people working in your store to provide maximum service to your customers base. Don’t let online retailers have all the fun! We have the technology to make your business cutting edge, all you need to do is implement it! Located in Columbia, Maryland, ARK Systems is dedicated to providing unsurpassed quality and excellence in the security industry, from system design all the way through to installation. We handle all aspects of security with skill and experience. With over 30 years in the industry, ARK Systems is an experienced security contractor. Trust ARK. This entry was posted on Thursday, June 2nd, 2016 at 1:16 pm. Both comments and pings are currently closed.